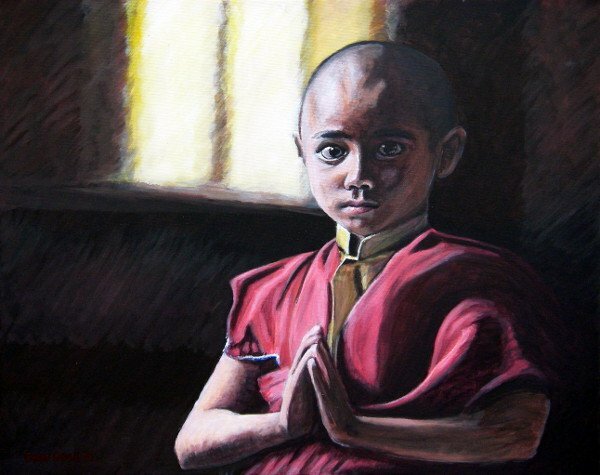 A painting of a boy monk from Tibet. Quite a dark and moody portrait this one, with subtle sidelighting giving a little mood and mystery to the painting. Reference photo courtesy of 'Mango Loke'.